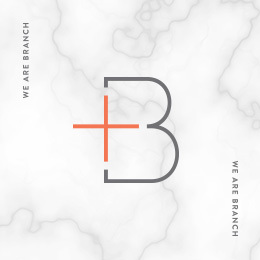 Announcing: Branch, A Boutique Design Studio! Today I have a big announcement to make about a personal project that I’ve put a lot of time and energy into: I’m officially launching a full-service design studio, Branch! This shift in my career has come along partially out of a personal evolution and partially out of the fact that I had to admit to myself that my design business was bigger than myself. From the outside, it might seem like designers dedicate most of their days to doing design. But as time goes on, project management, research, keeping up with emails, blogging and social media takes up more of our daily existence. I know that a lot of other small business owners feel this creep as well. Pretty soon, you have to stop and ask yourself where all the time to create has gone. I did. Finally, I had to stop what wasn’t working and take what was to the next level. As you probably know by now, I started my blog, Nubby Twiglet in 2001. At that time, I was active on Live Journal and blogging quickly became the creative outlet I desperately needed while in school for business. Six years into blogging, thanks to a heart-to-heart with my friend Star who insisted I needed to move my blog over to the WordPress platform, I relaunched here, in August 2007, on my own domain. By that point, I was in school full-time for graphic design. As I finished projects, I shared them with my readers. Before I knew it, I was getting freelance inquiries. The more work I shared, the more work rolled in. It was a natural progression. Even as I worked at design studios, I kept my blog very active and built up my portfolio, spending nights and weekends wrapping up client projects. Nubby Twiglet had quite accidentally transformed from a lifestyle blog to a design studio as well. The thing is, that “design studio” was just me. This worked out wonderfully for the first few years — I was able to keep everything running smoothly and build my clientele without all the headaches that come along with managing other people. Then, as the scope of projects grew and more inquiries than I could handle started flooding in, I felt a shift. And when I gave it some serious thought, that shift I was feeling was completely normal: it was part of my evolution as a designer. I’d spent six years at design studios and ad agencies collaborating as part of larger teams and that was actually how I was most comfortable working. I liked bouncing ideas off of other people and I also liked being challenged design-wise by co-workers who were much better than I was. It forced me to grow and constantly pushed me out of my comfort zone. But with my freelance clients, which I worked with through Nubby Twiglet, I had to adjust back to managing everything myself. My methods and work kept growing and then I saw the writing on the wall. That shift I’d been feeling but couldn’t quite articulate became more apparent after launching The Blogcademy last August and working as a team, even though it was virtual. Once Kat, Gala and I had decided to partner up for our new venture, we got so much done in incredibly short periods of time. Having assigned tasks for each of the three of us upped the productivity dramatically and I saw the benefit once again of working as a team. I wanted that for myself but it didn’t feel within reach at the time. I loved design but seemed to spend most of my time answering emails and putting together proposals. I didn’t want to live my life filling up my free time with administrative tasks. I had another heart to heart talk with Star, this time late one night in our shared hotel room during Designer VACA, trying to sort out my feelings about my business. I was doing exactly what I wanted to be doing with Nubby Twiglet, as I had for the past six years. But when we dug deeper, we were able to pinpoint my uneasiness: the twig had grown into a branch. To take things to the next level, I needed “branches” to get everything done. The business was bigger than I was. To move forward from there, I needed to admit that I couldn’t do it all myself and be okay with that. It sounds easy enough, but when you’re an overly organized control freak Virgo like I am, making that admission and letting go is incredibly difficult. What I’ve since realized is that being brave enough to let go can lead to amazing things. That initial upheaval that comes with realizations about our businesses, relationships and ourselves has the potential to bring forth some of the best things into our lives. Now, everything feels right. My blog, Nubby Twiglet will keep on going as it always has. I’ve loved it since 2001 and I’m still excited to wake up every morning and publish new articles to share with all of you. The Blogcademy fulfilled my dreams of traveling and teaching. And now, Branch is the place where I’ll have the opportunity to collaborate on design projects with my favorite people. Today is launch day and as a full-service creative studio, I’m ecstatic to have a business that’s finally bigger than myself. As a freelancer, I felt like it was my duty to answer every single email, fill out every single contract and manage all of the creative on my own. At Branch, I have the opportunity to design a whole lot more. And that is what I feel best doing. Thankfully, I didn’t have to look far for help to manage the day-to-day administrative tasks. My mom, Cathy will now step in as a project manager and with over 30 years of management experience, she’s a whole lot better at tackling spreadsheets, forms, receipts and emails than I am. Star, who coded my first ever blog back in the day and helped me make the idea of running a studio bigger than myself a reality, is joining me for web design duties. She also deserves some serious applause for pulling a week of nearly all-nighters to bring the site to life. Joey, my brother Carey and even Rocky will be involved (because every company needs a mascot). Needless to say, I love my branches. 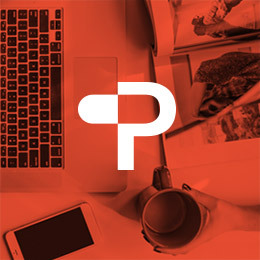 If you have a project that you feel would be a good fit for us, we’d love to hear from you! Thanks for all your continued support. 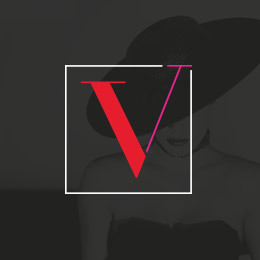 I am beyond excited for this new era of design, business and blogging. 4 Responses to Announcing: Branch, A Boutique Design Studio! Wow! That is so exciting! Congratulations!